This week Pastor Kim finished up our Daniel series by showing us through Daniel 10-12 how when we face difficulties in our journey, never stop: Communicating with God, Contemplating the Meaning, and Clinging to Hope! 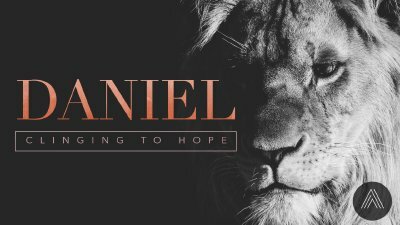 This week Pastor Clark and Pastor Kim showed us through Daniel 9 that when Daniel recognized that God promised breakthrough for his people, we see him carry our three behaviours: Pursuing God, Practicing Confession, and Pleading for Restoration. This week Pastor Clark and Pastor Kim showed us through Daniel 8 how when you feel a lack of control in your life, learn from Daniel's example and: Acknowledge the setbacks, Attend to your obligations, and Accept your limitations. This week Pastor Clark and Pastor Kim showed us through Daniel 7 how the enemy wants control. However, God sits on the throne, Jesus has dominion, and in return, Humanity will bow down before our creator!